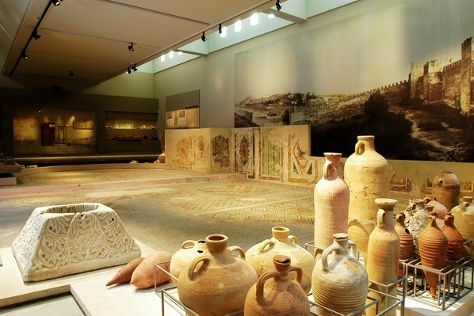 Start off your visit on the 6th (Mon): explore the ancient world of The Palace of Knossos, then steep yourself in history at Venetian Walls and Tomb of Nikos Kazantzakis, then take an in-depth tour of Ιστορικό Μουσείο Κρήτης - Historical Museum of Crete, and finally get a new perspective on nature at The Natural History Museum of Crete. Here are some ideas for day two: meet the residents at Aquaworld Aquarium & Reptile Rescue Centre, admire nature's wide array of creatures at Cretaquarium - Thalassocosmos, then take in the architecture and atmosphere at Church of Saint Titus, and finally get engrossed in the history at Heraklion Archaeological Museum. To find maps, ratings, and tourist information, read Heraklion road trip planning app . Newcastle upon Tyne, UK to Heraklion is an approximately 7.5-hour flight. You can also do a combination of train and flight; or do a combination of train, bus, and flight. The time zone difference moving from Greenwich Mean Time to Eastern European Time is 2 hours. When traveling from Newcastle upon Tyne in August, plan for somewhat warmer days in Heraklion, with highs around 34°C, while nights are much warmer with lows around 26°C. Finish up your sightseeing early on the 7th (Tue) so you can travel to Athens. 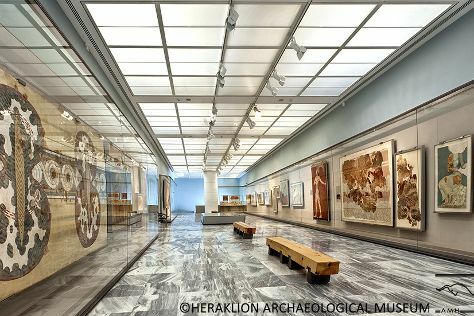 Family-friendly places like Acropolis of Athens and Acropolis Museum will thrill your kids. The adventure continues: wander the streets of Plaka, admire the natural beauty at National Garden, explore the world behind art at Benaki Museum, and delve into the distant past at Temple of Olympian Zeus. For photos, maps, reviews, and tourist information, you can read our Athens trip builder site . Do a combination of flight and subway from Heraklion to Athens in 3 hours. Alternatively, you can do a combination of ferry and taxi; or ride a ferry. Traveling from Heraklion in August, expect nights in Athens to be about the same, around 29°C, while days are a bit warmer, around 39°C. Wrap up your sightseeing on the 10th (Fri) to allow time to travel to Thessaloniki. On the 11th (Sat), contemplate the long history of Hagios Demetrios, contemplate the long history of Arch of Galerius, then take in panoramic vistas at White Tower of Thessaloniki, then take an in-depth tour of Museum of Byzantine Culture, and finally make a trip to Aristotelous Square. To find other places to visit, maps, reviews, and tourist information, read our Thessaloniki trip maker website . Getting from Athens to Thessaloniki by flight takes about 3 hours. Other options: drive; or take a train. Traveling from Athens in August, Thessaloniki is a bit cooler at night with lows of 24°C. Cap off your sightseeing on the 11th (Sat) early enough to travel back home.